*. Best place to get a second mag standard 25 cap as not interested in 50 round mag. *. Best holster if I wanted it to fit pistol with torch fitted? *. And if I was going to upgrade what would best upgrades be and a reputable fitter near me, I'm considering red wolf in Gloucester. UKARA should not be necessary. TM brand mags can be had equally cheaper from asia. I have had good times with the nuprol glock holster, works well with their molle adaptor too. Lots of threads regarding the TM G18C out there - the best I found was on Airsoft Canada where they outlined all the upgrades and discussed it in detail in the later pages. Pro tip: Look into filling in the front frame void with epoxy when you can as it'll improve the longevity of the gun. That front screw post will be the first thing to break on you so long as the hammer doesn't go first. 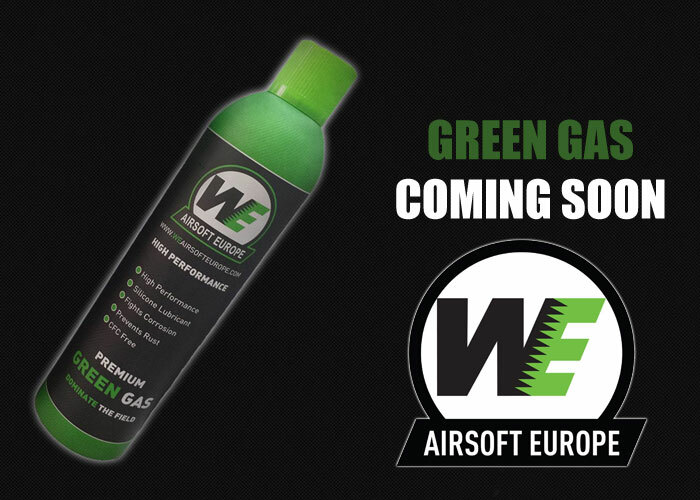 On a plastic slide anything cheap will do - Nuprol is easy to get (just the regular green bottles) but the cheapest and most reliable average gas I've used in my pistols has been Smart Gas (from Poland) or Pro Tech Gas from France - both are the same gas but relabelled, and both are about 7-8 Euros per can. Buy a few cans and some BBs and you'll have made a saving over what you can buy here. Cheapest place I've found is Rainbow8. They have the extended ones cheap too (I'd pick one up as those are absolutely amazing). Shipping takes two weeks and I just received my extra 50rd magazine in the post yesterday. Look at Blackhawk. Second handers can be had for £30. I don't think Nuprol deserves people's money on their clothing and accessories but that's just me. Bear in mind that the TM G18C is 1mm wider than the WE and real-steel equivalent so you need to use some sand paper to get a good fit on either. I just run mine in a WAS generic holster and it works well and is light. If you play woodland more than CQB I'd recommend a fabric holster like this as they take up less room on molle and are marginally lighter. Look at the Element X300 clone. Won't perform as good as genuine Surefire ones, but if you're on a budget they're allegedly quite good (remember to buy perspex inserts so it doesn't get shot out in CQB). There are loads of half-decent ones out there though. I'd probably spend your money on something more worth while at first. Also a word of warning - a G18C with torch isn't going to fit into a Blackhawk-style holster. There are a billion videos on this, but the gist is: Remove slide and use high-viscosity silicone on the plastic runners in the slide as well as on the metal ones in the frame (one drop on each is enough). One drop where the full auto switch is to keep that running smoothly, and a drop on the nozzle seal (then spread around with your finger before leaving the seal to rest overnight and adsorb that lube or it'll just be blown down the barrel when you next shoot). Remove the barrel and hop unit (just slide it away from the recoil spring) and then you can use small paper towel squares wrapped around your cleaning rod and isopropyl alcohol/rubbing alcohol/medicinal alcohol to break down any gunk in the barrel and hop unit (keep swabbing until the paper towel comes out clean). Use a small bit of silicone on a square of paper towel and swab the barrel from the exit end downwards, but do not go as far as the hop rubber (getting silicone on your hop rubber is bad). If you're not sure where your hop rubber is then look down it from the other end and you'll see the nub protruding into the barrel. Most of the time it's fine though. Only needs a proper clean every couple of months even when regularly playing. As for magazines, just keep a little gas in them. If they leak then first run some Abbey maintenance gas through them. If that doesn't work then disassemble, soak o-rings/seals in silicone overnight then replace. You may want to invest in a valve key - WE magazine valve keys work fine and can be bought for £5. The Glock is super simple and I'd encourage you to look at it yourself. That thread I provided has a whole wealth of knowledge and screwing up permanently with GBBs is hard. WE gas seemed pretty epic to me compared to the standard ASG gas. for holsters, I think TM glock is not the same dimensions as the real ones, meaning some kydex/plastic/hard holsters wont fit it - just something to keep in mind! Yeh but ASG is naff. Which Nuprol gas did you mean? Or just the green WE tins? Its performance is on par with Smart Gas and Pro Tech Gas - that's the issue I take with it. WE stuff has always been more pricey than necessary. Fair enough - you should try Smart Gas or Pro Tech Gas though as it's really cheap (well at least compared to the prices over here). Thanks, it's just called super power green gas. £20 for 2200ml. Mrs bought it from only bbguns as it was next day delivery. Have not lost the smile since shooting it, it's bloody amazing. Can it run .12g on a site or does it have to be .20g? Don't run .12g as they have no range because they shed their energy early during flight and don't hold the inertia of the hop as long. In fact, you should invest in some quality .25g, not .20g - part of the great thing about Maruis is they shoot slower due to Japanese laws but go super far because they have a decent hop out of the box. Dialling in some .25s is a good idea as you'll get 35+ metres out of it that way. Remember, remove the slide and use the hop wheel. Turn it to a very low setting, shoot it, then if the BBs dip too much (which they should on the first try) take the slide off and turn the wheel a little before shooting again. Rinse and repeat until you get a flat trajectory. If your BBs curve into the sky then you've put the hop on too much. I use abbey predator gas in mine, runs fine and it's got lube in it to stop your seals perishing etc. As for cleaning/lube I just recently disassembled my stock TM glock 17 after about 18 months of zero maintenance, four drops of oil and it was back to peak performance! Holsters are a bit of a pain, since the TM Glock is slightly wider than a real one, Fobus ones fit without mods though and they do a range which will accept flashlights too. Comprehensive, thanks guys. I'll get some .25s tomorrow. PM'd you regarding upgrades a few days ago but you've not opened it. On a PC go to the top right and click the envelope. On a phone go to the top right and click the four little squares then the envelope. Don't 'upgrade' it! Pistols are not like AEGs, you will 99% of the time downgrade it by changing parts. I 'unno about that, but you do have to be careful. A lot of people either half-arse it or upgrade too pieacemeal or don't look at compatibility - so jcheese is right in a way because it can be easy to screw up. A good example with the G18C is getting a metal slide, not polishing it and not buying a reinforced frame and not filling in the front screw post void or not buying a 150% recoil spring - not polishing it means the first 1000 rounds will be sluggish until it breaks in a little, not getting a reinforced frame or filling in that front screw post void can result in much quicker catastrophic failure (think front of the slide just continuing forward one day and flying 5m away from you) and not buying a 150% recoil spring and guide means your RoF will decrease quite a bit. But do all 4 and you've got yourself a nice quality slide, look and the same insane RoF that it comes out of the box with. Another example is the barrel and hop unit: People just buy a nice barrel without a proper hop rubber or without dialling it in and wonder why their accuracy is all over the place. TM hops are pretty magical, but the Nineball does get a slightly better seal and can hop slightly heavier weights. Marui Glocks are excellent out of the box and upgrading them only sees slightly performance and longevity increases. Most people do it for the looks or to squeeze a little extra fps out of it. Thanks. I would like a mag well, and I think if I do anything I'll put in a 6.01 barrel with a decent hop rubber. As accuracy is king, I'm more than happy with the rof so don't want to mess around with slides and springs. I'm thinking if it ain't broke don't fix it kind of thing. I must remember this is a back up and room weapon. Money would be better spent upgrading the cm-016 at this time I think. Marui do a good plastic magwell and 5KU do nice aluminium ones. For the 6.01 I'd go with PDI every time simply because they're well made and last a very long time (unlike some of the cheaper aluminium ones), but LayLax/NineBall ones are good too. Though I prefer a wider bore in longer barrels (6.05 being what I usually go with), I'd probably say 6.01 would be a better bet with the Glock series as it will give you a small fps boost. The Marui bucking is good too if you can't find a Nineball VSR one (they go out of stock quickly). TM Glock is accurate already stock, more so than most people are capable of shooting. By that I mean the TM Glock already shoots more accurately than most skirmishers are able to take advantage of.